Sick and Tired of a Smelly, Smoky House? Family Fights? Or Wasting Money on Air Purifiers that Just Don't Work? A home smoke eater that not only looks great, but also dramatically reduces the smoke and odors. Our Smoke Stomper is backed by an industry unheard of 10 year warranty and Free Ground Shipping within the Continental USA. Finally, Smokers Have a Clear Choice!! Option 1: You can either keep paying for cheaply made air purifiers that never had a chance to eliminate your smoke because they were never designed for challenging cigar and cigarette smoke problems in the first place. Option 2: You can protect your pocketbook by selecting the Smoke Stomper; a machine that was specifically designed for smoke and is guaranteed to get the job done. I have been smoking in my own "Man Cave" since 1999 and have experimented with various little machines to remove smoke which had varying degrees of success(mostly disappointing)..I was on the Rocky Patel Cigar Cruise last month with 80 cigar smokers, Rocky and Co, and various cigar makers, and inquired from them about smoke removal..Kendall Culbertson of Outlaw Cigars advised me to get a much bigger HEPA- type unit. After a little internet prowling, I came upon your Smoke Stomper on Youtube.. Just received it yesterday, put the wheels on, plugged it in, and MAGIC !!! A totally different experience smoking a cigar..My room had clean air throughout my smoke..Here's proof positive: My wife came down into the room to check out the unit and stayed and had an entire conversation with me !! Never done before..If it can pass the JaniceTest, it must be good!! And it looks great, too. Thanks again for all your help. Why should you consider our Smoke Stomper Premium Home Smoke Eater? It dramatically reduces smoke and odors. Yet, quiet enough and stylish enough for a home. Portable - on wheels for easy movement from room to room. Four Different Colors to Match Any Decor! It doesn't matter if you are the smoker or the non-smoker, you are BOTH suffering. This Smoke Stomper home smoke eater is for both of you. 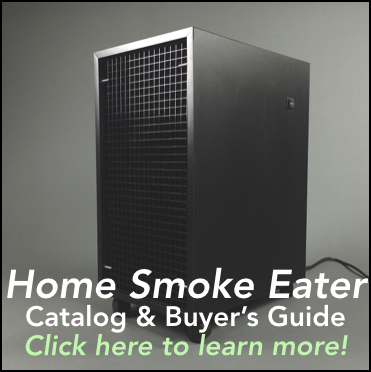 The way I see it, there are a few main reasons to consider investing your hard earned money in a home smoke eater. 1. Dramatically Reduce the Smoke and Odors. Obviously you want to eliminate the actual smoke. You're worried about the health effects to you and your family. Plus, the odors are annoying and embarrassing to say the least. It's time to fix it. The tension in some smoking homes is so thick you can cut it with a knife. Wouldn't it be great to stop the yelling and fighting? It's no fun for either of you. 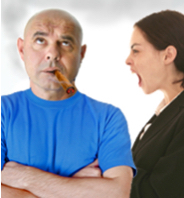 Truth is, there's not much worse than the fighting between a smoker and a non-smoker to ruin your fun and maybe even wreck your marriage. I've had dozens of people call me saying they need to solve the smoke problem or their marriage may end. It happens more than you realize. You are not alone. Do you realize that a home that's been smoked in takes 5 times longer to sell and sells for as much as 29% less money? On a $200,000 home, that's nearly $60,000 you'll lose when you go to sell a home that reeks of smoke. Protect your investment. Don't let your smoke turn your home yellow or brown. Your pets are part of the family and are definitely affected too. Unfortunately they spend virtually all their time in the home breathing second hand smoke every minute of the day. Time to Solve this Problem. The Smoke Stomper is the Clear Choice! If you already smoke in your home and understand that nothing is instant or perfect, yet still want a dramatic improvement in the air quality in your home, then this machine could be for you. And with our 90 day satisfaction guarantee, we take all the risk. How Does it Look? Take a Peek! 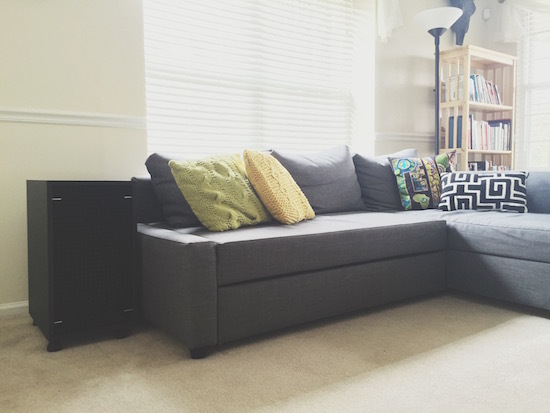 The Smoke Stomper Looks Great in Your Home! simplicity of the maintenance of it! 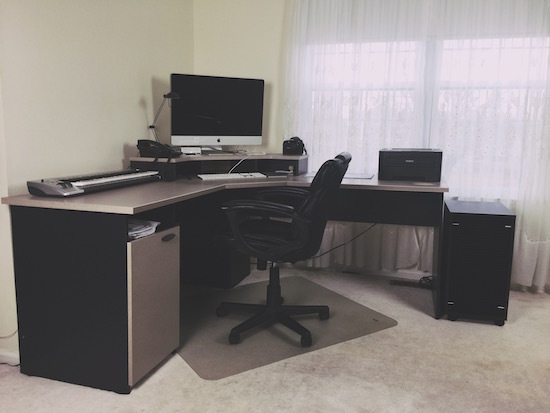 It's nice looking and doesn't take up a lot of room! We use it as an end table by our couch and couldn't be happier! Thank you! Sharon C.
Our Smoke Stomper is Backed by an Unheard of 10 Year "Won't Die on You" Warranty! Not to mention our INSANE "Return it for ANY Reason"
No charge for dirty filters or the machine coming back reeking like smoke. Either you love the results our Smoke Stomper delivers or you can get your money back. The Smoke Stomper - 3 Stage Filtration Difference. Our three filter system is not only super easy to maintain, but also provides three capable levels of protection for you, your family, your pets, all your health and your home. This is the same commercial grade filtration we use in our customers bars, cigar shops, VFW halls and American Legion halls. Don't let the "commercial grade" scare you. The Smoke Stomper was designed from the ground up specifically for home use with furniture grade materials and most importantly, is quet enough for a home. Plus, We Provide Enough Filters to Last You a Full Year! The (6) Carbon Pre-Filters catch the heaviest smoke particles. Change this every two months. One is installed and you get 5 extra. (1) Granulated Carbon Panel - for odors. Changed yearly. Already in the machine. (1) HEPA Filter - to capture the microscopic smoke particles. Changed yearly. Already in the machine. That's just $21.66 a month or less than 73 cents a day to keep the air in your home free of smoke, protect your health, your family, your pets and your home. Capable of running 24 hours a day - 7 days a week for the ultimate in clean, healthy air and odor protection! 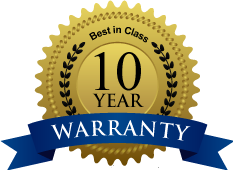 Did we mention our 10 year warranty? Why Solve a Home Smoke Problem Anyway? Protect your health and the health of your family and pets. Eliminate family fights about the smoke. Your spouse or kids will appreciate you! Protect home values. This bears repeating. A smokers home takes 5 times longer to sell and sells for up to 29% less money? On a $200,000 home, that's nearly $60,000 you'll lose when you go to sell a home that reeks of smoke. Trust me, you can't just open up the windows and air the place out when you go to sell your home. Just ask any Realtor. Home Smoke Eater a No-Brainer Decision! With Someone Smoking in your Home, You Owe it to Yourself and your Family to Get the Best Smoke Removal System Possible. So, Why is Smoke so Bad? Smoke is comprised of way more than you can see. Smoking throws millions of smoke particles into the air which you and your family continue to breathe over and over until your lungs actually capture the particles like a filter should. Smoking releases thousands of toxic gases and fumes into the air. Asthma, allergies and heart disease are all made worse by the smoke infecting your home. 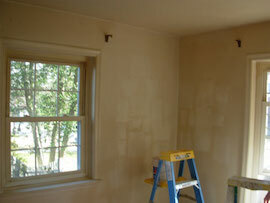 The smoke particles, tar and nicotine stick to the walls, furnishings and turn everything yellow and brown. 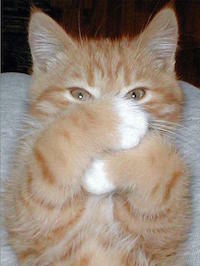 Smoke gets into fabrics, clothing, furniture, carpets and even the padding. You Can DRASTICALLY Minimize These Harmful Affects! But, You REALLY Need Something Capable that can Handle the Particles, Gases, Fumes and Odors. If the Machine you Buy can't Handle it ALL, You Really Aren't Solving the Entire Problem. 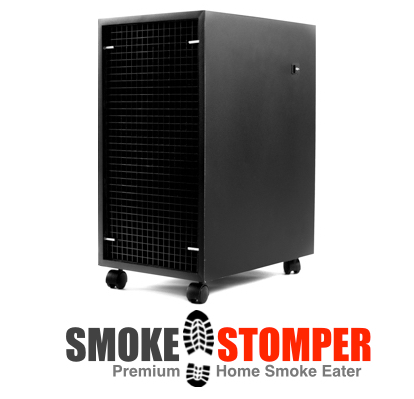 Our Smoke Stomper Home Smoke Eater has been Designed specifically for the Challenges of Smoke. With over 30 years solving tobacco smoke problems, we know what it takes. 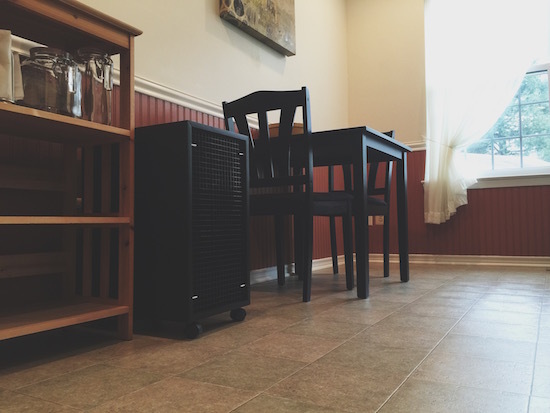 Don't trust your health and home to just any old air purifier. 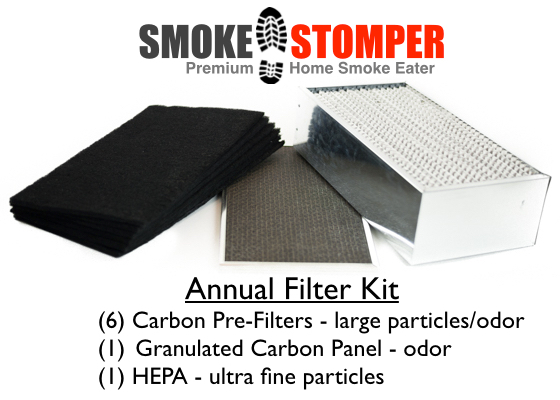 The Smoke Stomper is Just $749 Delivered - Including a Years Worth of Filters! 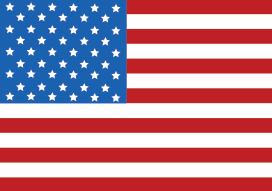 ...is Proudly Made in the USA! Our craftsmen working in our production facility in Newport New Hampshire have been solving the worlds worst commercial smoke problems for Bars, Restaurants, VFW Halls, Moose Lodges, American Legions, Rod and Gun Clubs, Golf Clubs, Cigar Shops, Hookah Lounges, Bowling Alleys, Casinos for the past 30 years. And now we introduce the Smoke Stomper which provides you that fantastic commercial grade filtration, is strong enough for the tough commercial smoke problems, yet has been designed from the ground up specifically for the home. It looks great, does not require installation, is portable and at just 63 decibels, that means it's quiet enough for home use. Our Smoke Stomper is not mass produced overseas with cheap materials. That's why the imported competition could never dream of offering an unheard of long 10 year warranty like ours. But we can because it is made here in the USA! Here's Our No-Hassle, No Stress Customer Protection! We proudly protect your investment, your health, your home and happiness. If you don't love the result of the Smoke Stomper Premium Home Smoke Eater, you don't have to pay. And, you've got 90 days to test it out before deciding. How we quickly make things right: Just call us at 1-888-472-8736 and tell us what's going on. Sometimes a couple minor tweaks in where the Smoke Stomper is placed or managing airflow in and out of the smoking room can make a huge difference. If we are unable to resolve your concerns, we'll authorize the return. Upon receipt - we'll issue a full refund. No hassle! No restocking fees. 10 Years of Performance - Guaranteed. Simply change filters on schedule as recommended and if the Smoke Stomper stops working in the first 10 Years, we'll fix it - free. 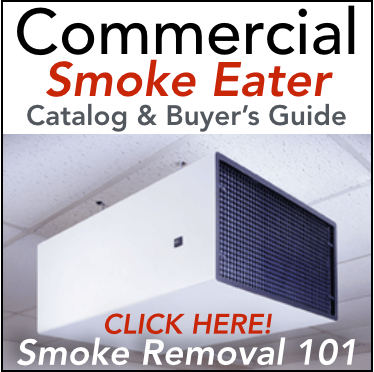 How we quickly make things right: If you are having trouble with your Smoke Stomper, just call us at 1-888-472-8736 and one of our customer support reprentatives will help you get your Smoke Stomper back up and working. It works. Plain and simple. Dramatically reduces both clouds of smoke and odors. Looks great. Four great colors to match any decor. Commercial grade 3-stage filtration system designed specifically for smoke. Unconditional 90 day money back guarantee! Unheard of 10 year warranty. Super responsive customer support for questions or concerns - 1-888-472-8736. 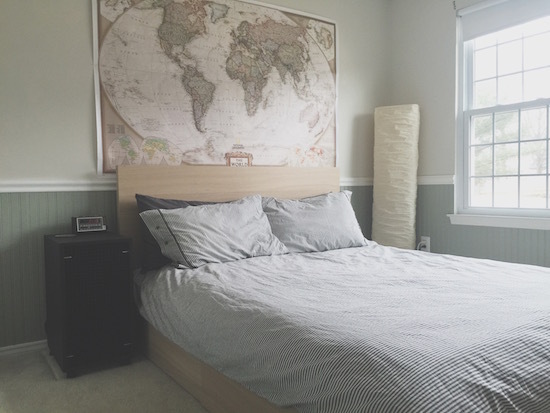 Made in the USA with furniture grade craftsmanship and materials. Free Ground Shipping ($60 value) While Supplies Last! Questions? Concerns? Order by Phone? Need Filters? Keep our number on your refrigerator in case you need us for anything at all.